Association for Consulting Expertise (ACE) - Mainebiz Momentum Convention - Consultants Corner! Mainebiz Momentum Convention - Consultants Corner! Let ACE help you with your business challenges. ACE will provide free professional consultation to businesses and nonprofit organizations on October 20 at the Mainebiz Momentum Convention at the Augusta Civic Center. This will be the third year ACE has offered the service – “Consultants Corner” - through various business events. ACE member consultants will participate in eight 45-minute “Consultants Corner” sessions. Those who sign up for the free consulting service may use the opportunity to discuss issues ranging from growth challenges to growth opportunities, operations, finance – whatever is of concern to owners and managers. ACE member services include operations/process, marketing, finance/accounting, human resources, executive development and a variety of others. For information and to grab your spot, email: info@consultexpertise.com. 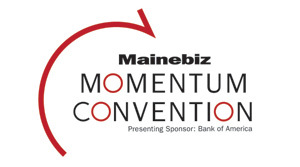 For information about the Mainebiz Momentum Convention, click the logo below.